For the B2B ecosystem, messaging apps are just beginning to flourish as a unique way to connect with customers and prospects. As more Millennials take on leadership and key stakeholder roles, B2B organizations are looking for new ways to engage customers or prospects that align with their day-to-day communication preferences. For many, short-form, quick-hitting conversations on a messaging platform — or being a part of an advocate community where they can socialize with peers through casual messages — can become extremely valuable and even preferred compared to email. Intercom is designed to help customers use bots and messenger apps to capture more leads and qualify and schedule meetings with sales. The company’s B2B customers include Tradeshift, which saw a 32% increase in qualified sales opportunities and shortened sales cycles by 18 days with messaging; SalesLoft, which used Intercom to help drive 40% of booked sales demos; and ProsperWorks, which uses Intercom to generate 25% more leads, creating 19 new opportunities and $36k in annual recurring revenue in their pipeline. Other B2B companies, such as CA Technologies and Okta, have also found unique ways to interact with their customers and prospects by creating communities of peers. Whether it’s adding an extra channel on Facebook Messenger or developing an advocate community via Slack or other means, these brands are building unique case studies with text-based conversations. B2B companies today are taking pages from their B2C counterparts and turning to messaging apps to connect with clients and gain unique feedback. Andrew Spoeth, Director of Digital Marketing for CA Technologies, and his team have taken what they’ve learned by communicating with customers and prospects on social channels to create a community on Facebook Messenger. Early results of a pilot program have shown a more than 80% open rate compared to email blasts. Spoeth added that there are other ways companies can experiment with content via messaging platforms. Mark Organ, Founder and CEO of Influitive, an advocacy and engagement software, and previously one of the founders of Eloqua, believes that allowing your customers to participate in all aspects of your go-to-market strategy is “the future of where marketing is going.” Communicating with customers whether it’s through messenger platforms, or creating communities on Slack or other platforms, can “give them that environment where they can feel special and important and that they’re really contributing to something,” he said. For Okta, an identity management tool, interacting through a community with their customers helped them to nail down their brand voice. The company uses the Influitive platform to create this community, and uses it to ask customers casual questions that have led to unique campaigns and ads. Messaging platforms or using communities to have casual conversations is changing the way B2B organizations enhance relationships with customers. 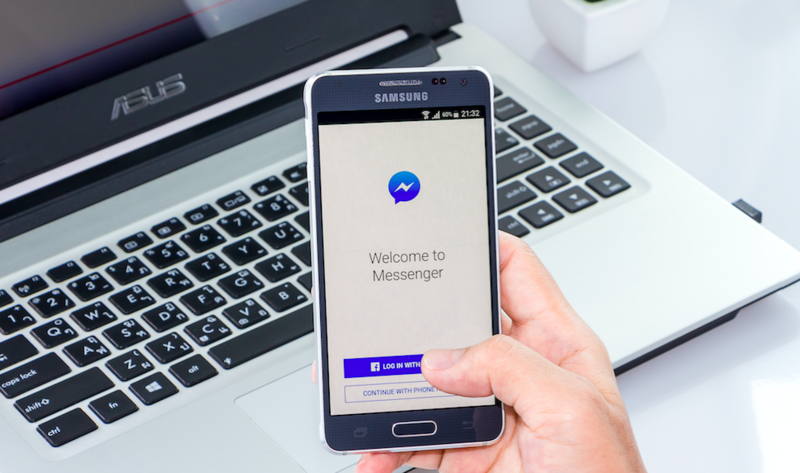 While email marketing still plays a key role, messenger apps have the potential to generate more engagement and impact.